Bramham Drama Group are always looking for new people to come along and join the team. Its a great way to meet people from the village and get involved in putting on some fantastic productions. 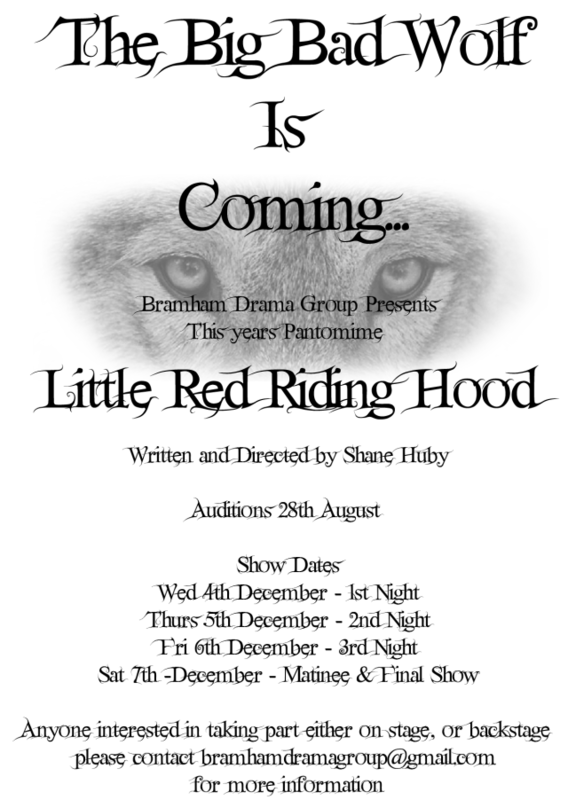 This years Pantomime is to be directed by Shane Huby and he will be holding the auditions for the adult cast on Wednesday the 28th August and the 4th of September in the village hall at 7.30pm.